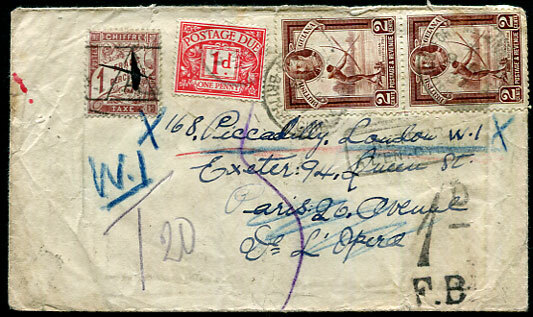 1887 reduced along top cover to C.H. 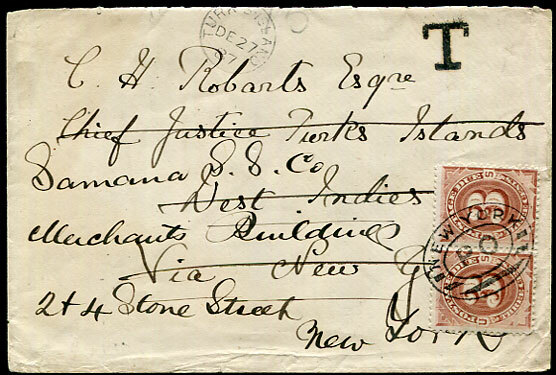 Robarts, Chief Justice Turks Islands, West Indies mailed with quartered circled "L" (applied London for routing through Liverpool) dated DE 8 1887, forwarded Samana S.S. Co, New York with both TURK'S ISLAND DE 27 87 cds and "T" tax handstamp, on arrival JAN 7 (per backstamp) pair U.S. 3c Postage Dues added and tied NEW YORK P O oval. 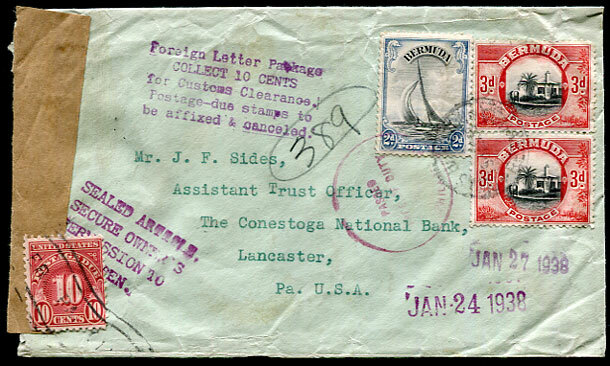 1938 cover from H.A.& E. Smith Ltd, Hamilton (printed flap) with 2d, pair 3d to The Conestoga National Bank, Lancaster, Pennsylvania opened despite "SEALED ARTICLES/SECURE OWNER'S/PERMISSION TO/OPEN." 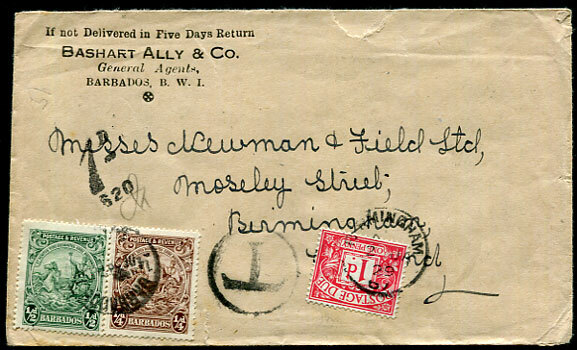 handstamp with circled "PASSED/FREE OF DUTY", sealed with "Foreign Letter Package/COLLECT 10 CENTS" 5-line handstamp with U.S. 10c due affixed and tied. 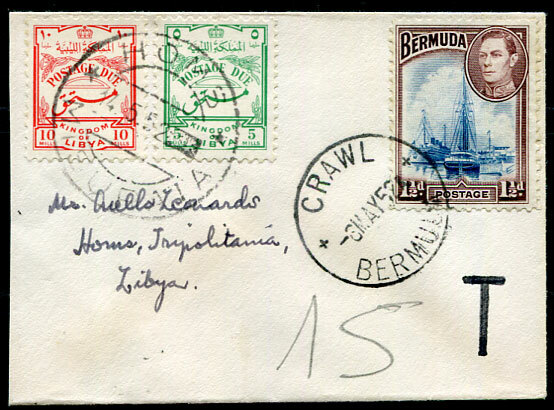 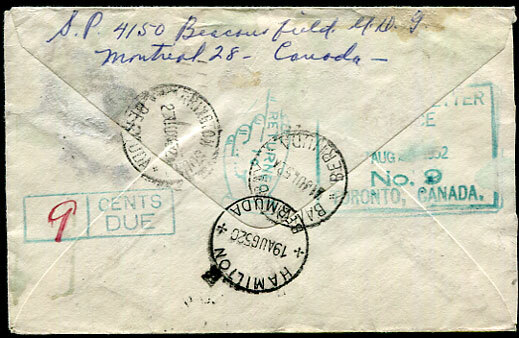 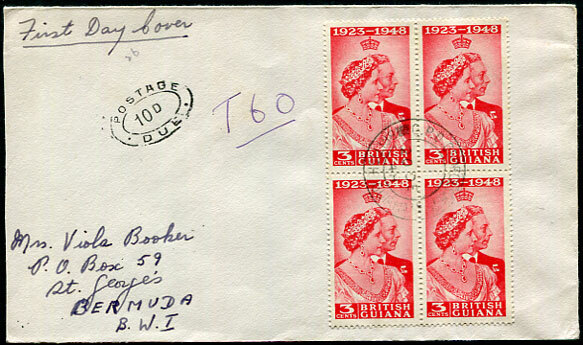 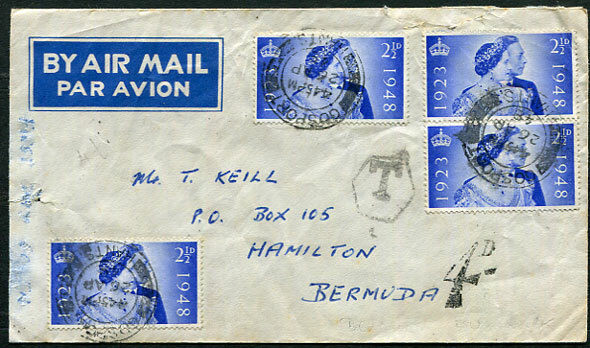 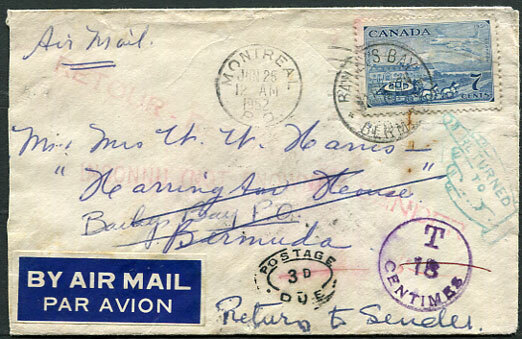 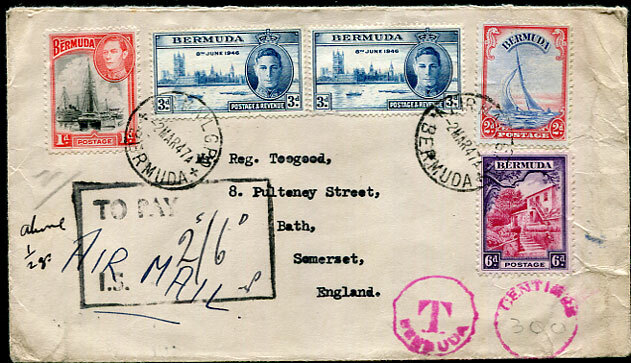 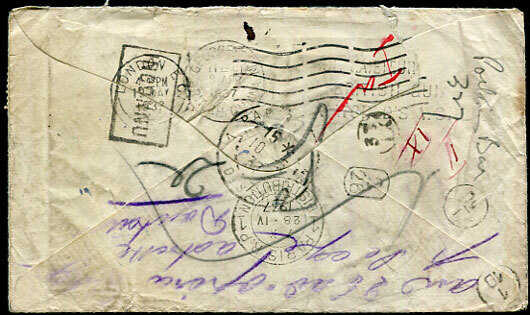 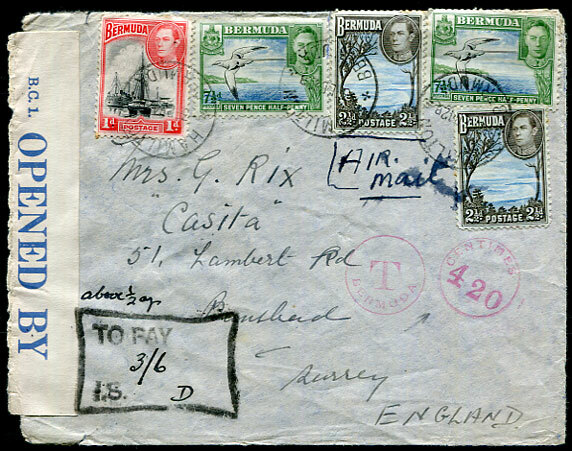 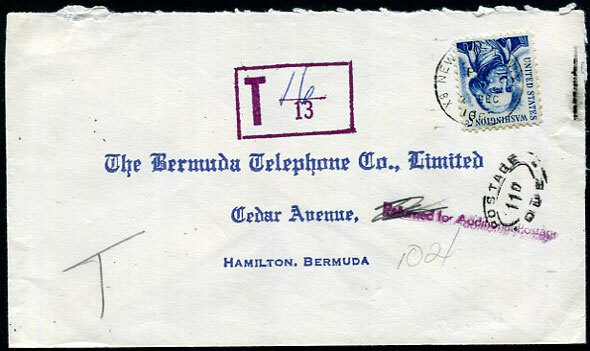 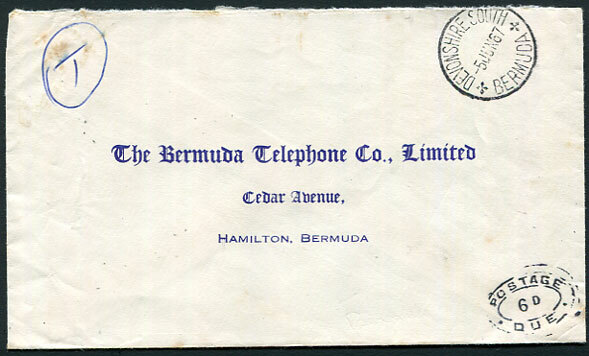 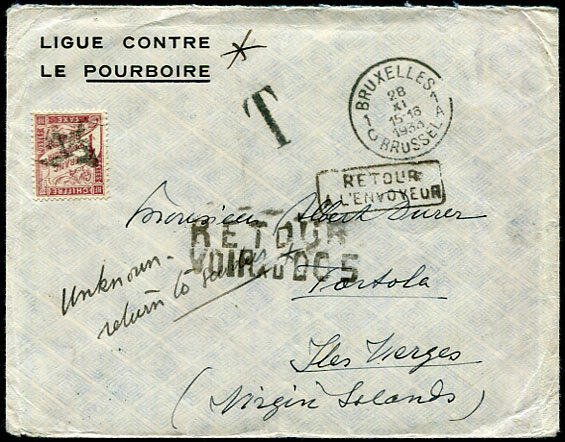 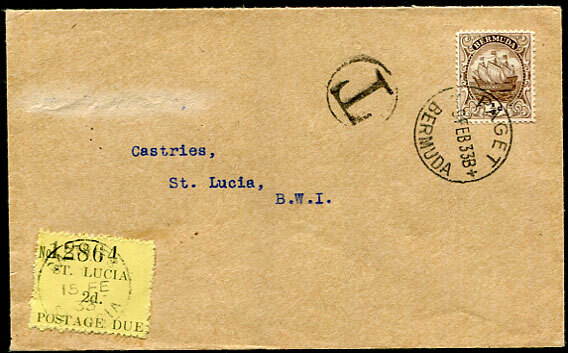 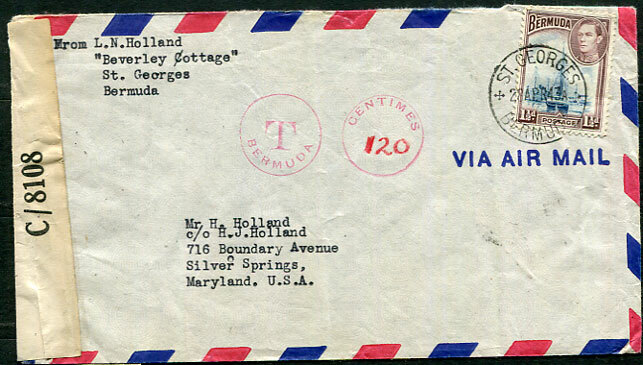 1952 cover with Canada 7c pmk'd Montreal to Harrington House, Baileys Bay with numerous instructional and tax handstamps showing handstruck Bermuda "POSTAGE/3d/DUE", eventually marked "Return to Sender", soiling etc but full of character. 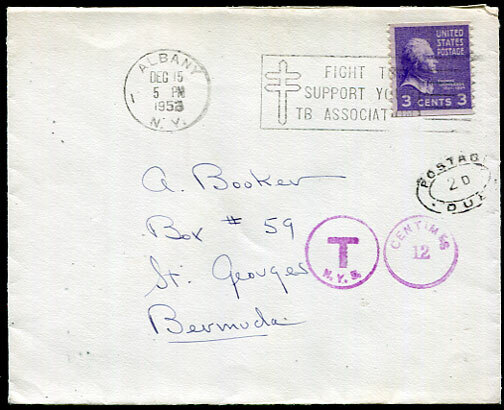 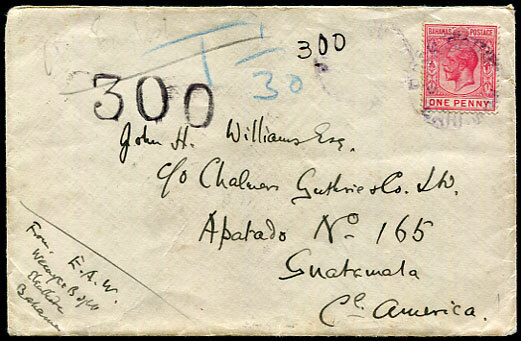 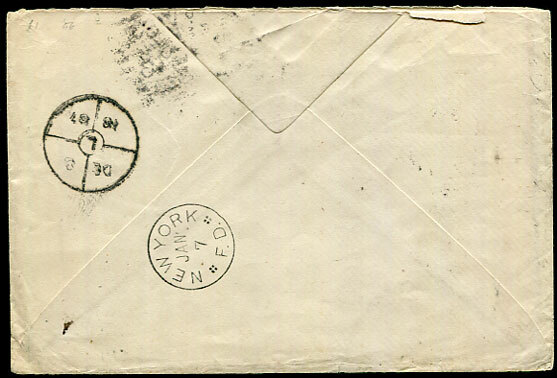 1952 (DE 15) underpaid cover to St. Georges with U.S. 3c Jefferson pmk'd Albany, New York, taxed with POSTAGE/2d/DUE added on arrival.